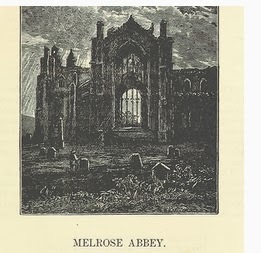 Melrose Historical & Archaeological Association's talk in the Upper Hall of the Ormiston Institute, Melrose on Tuesday, 11th March is called 'Carving History' and it's about the life and works of Andrew Currie of Darnick. The speaker is Bob Johnstone, who has researched his family tree to find the link to Andrew, his great-great-grandfather. Bob will be signing copies of his book. Admission is £3 to non-members. 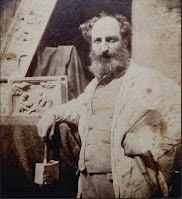 Andrew Currie (1812 to 1891) is famous for his stone monuments like Mungo Park in Selkirk, the Ettrick Shepherd at St Mary’s Loch and King Robert the Bruce, erected on the esplanade at Stirling Castle in 1877; as well as other pieces in plaster, wood and marble. He was also an enthusiastic antiquary, an oral historian, and a writer who wrote colourful stories of life in the Borders of the early nineteenth century. Born to a Selkirkshire sheep farmer who fell on hard times, Andrew Currie was obliged against his will to take up a trade. He worked as a millwright until his mid forties, when his health broke. Only then did he become a sculptor, which had long been his dream. Do you want to see what Scotland used to look like ? Do you need a picture for your website or publication ? 2 weeks before last Christmas, the British Library announced that they had put on Flickr over a million scanned images from books originally published in the 17th, 18th and 19th centuries for anyone to use, remix and repurpose. At the time I couldn't see a particular use for them especially as they weren't sorted or arranged into subject collections, so it would be very difficult to find a particular picture. If you know the title of a book, you can search for that but that doesn't help to find a specific picture. 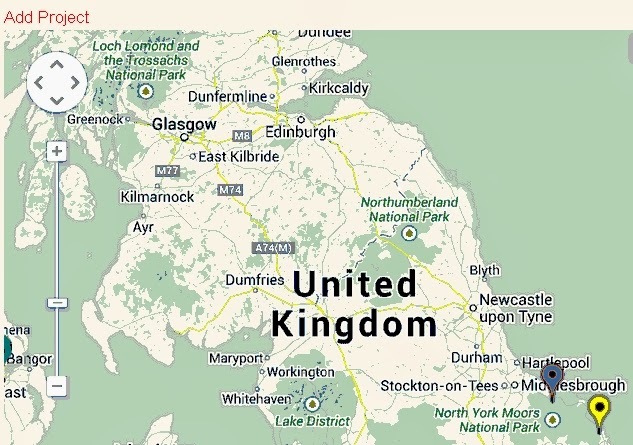 Old Scottish Genealogy & Family History have created an interactive map that links images to a map of Scotland. You pan the map to see the area in which you're interested and if there are images available, you'll see either a blue pin with a number or a red pin. If it's a blue pin that means there's more than one image so you need to zoom in to see the individual red map pins. Click on a red map pin to see one or more images, then click on the image to expand it. Although there are more than 200 pins for Scotland, there are only 19 pins for the Scottish Borders but it's a start and a week ago there were only 15. There was a fire at the National Archives, Kew, London, yesterday, around midday. The blaze is out and apparently no documents were damaged or people hurt and they'll reopen as normal on Tuesday. If it can happen once, it can happen twice and next time they might lose documents, so best start doing your research there as soon as possible. More information on the BBC and the National Archives site. If you're not going to the Scottish Association of Family History Societies conference in Dunfermline on Saturday, April 26, 2014 or even if you are, you might like to go to the Who Do You Think You Are? Live 2014 event in Olympia, London which runs 20-22 February, 2014.
Who Do You Think You Are? magazine is offering newsletter subscribers the chance to win one of 4 pairs of free tickets to Who Do You Think You Are? Live 2014, worth £22 each. As well as signing up for their newsletter, you'll need to answer the question ' In which year was Natasha Kaplinsky's Who Do You Think You Are? episode first broadcast?'. More about Natasha Kaplinsky. You'll need to be quick, though; the competition ends at 11am on Monday 10 February.